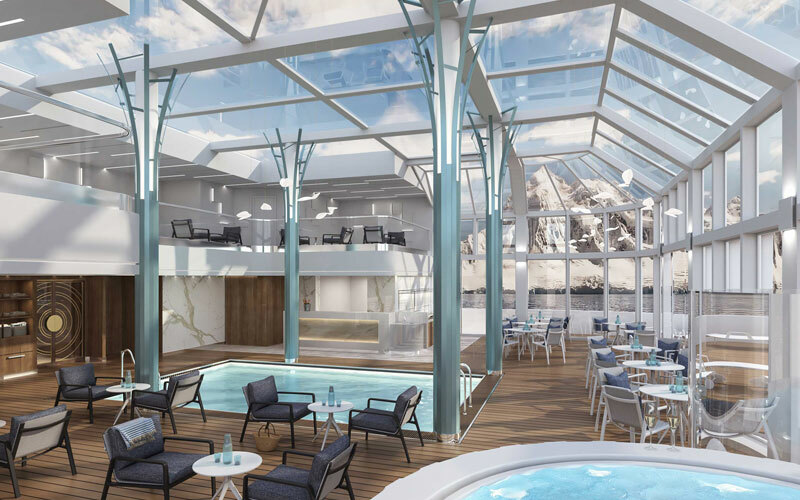 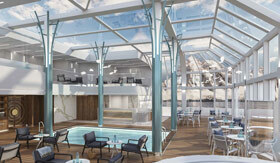 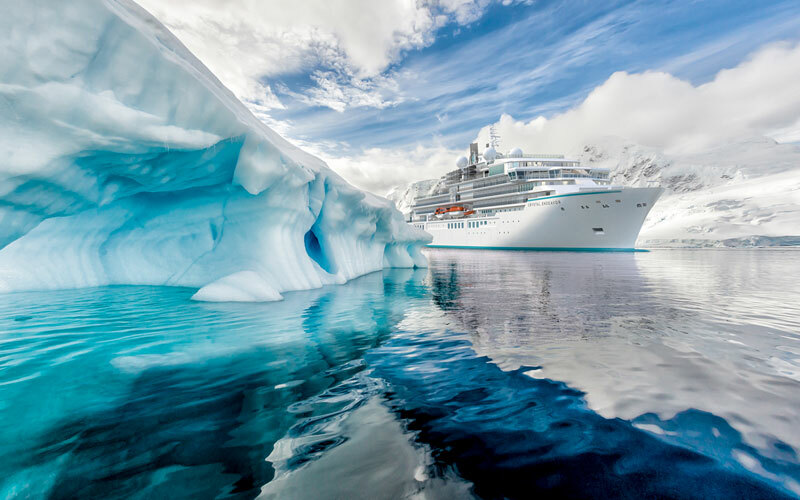 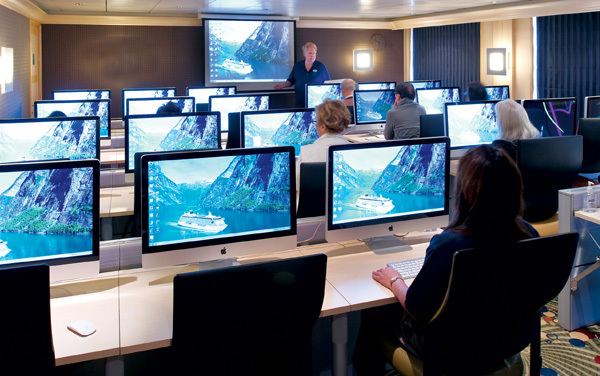 Crystal Endeavor, the world's first purpose-built polar class megayacht by Crystal Cruises, is taking expedition cruising to the next level with limitless possibilities for exploration in the Arctic, Antarctic and tropical regions. 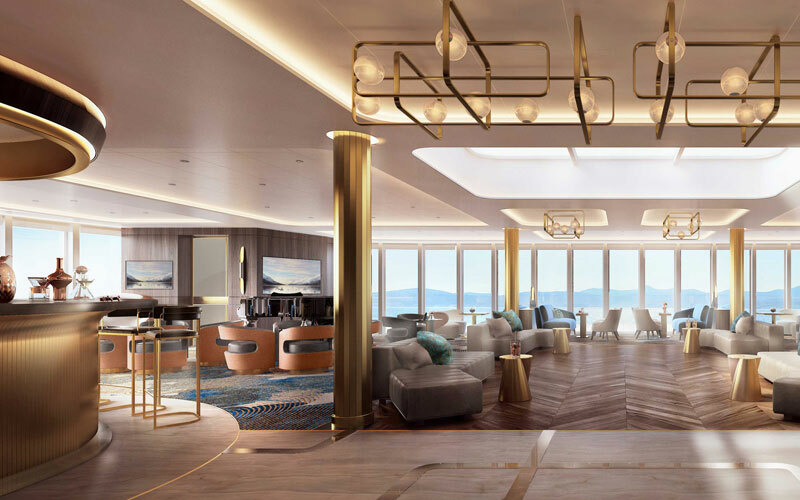 The ultramodern Crystal Endeavor is equipped with offshore dynamic positioning technology which automatically maintains the ship's position using her own propellers and thrusters in order to avoid damage to underwater terrain and coral reefs. 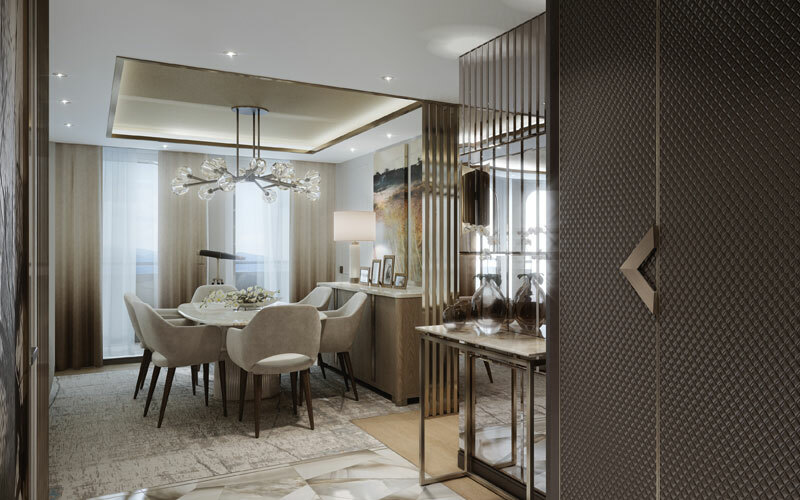 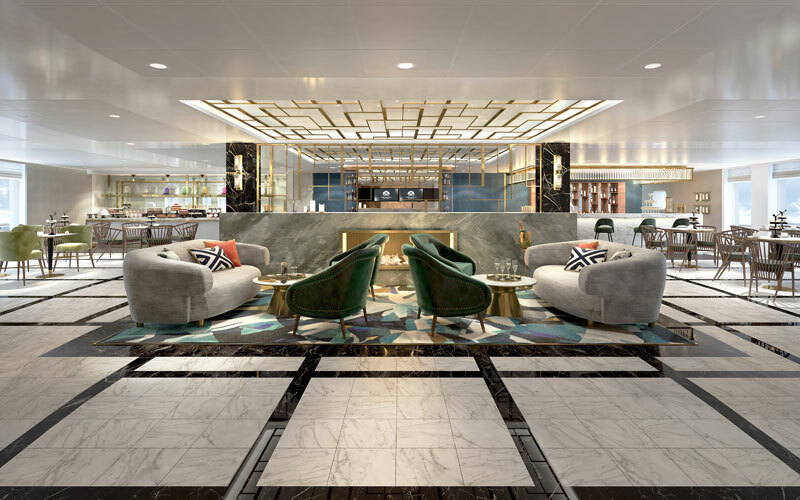 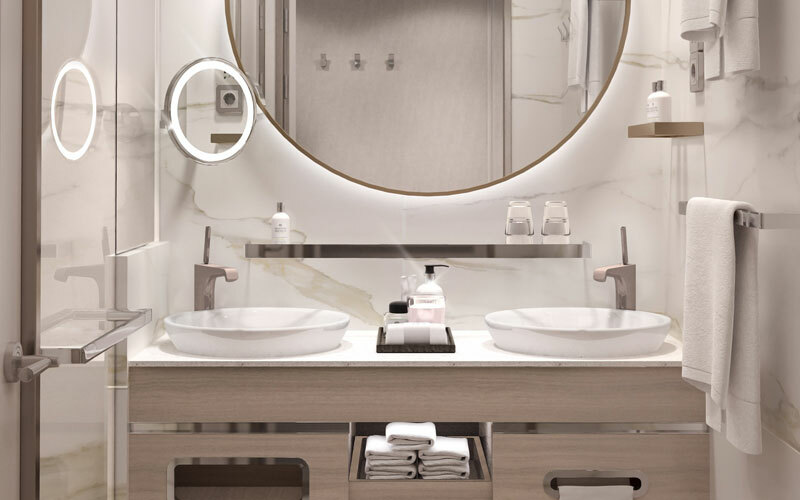 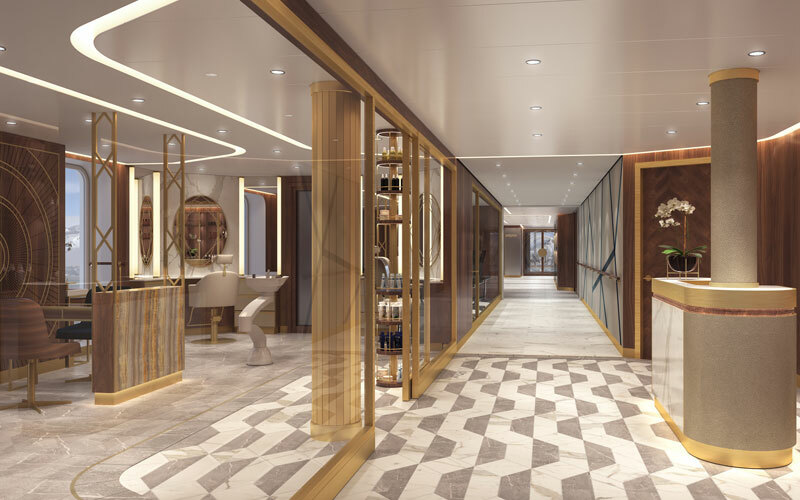 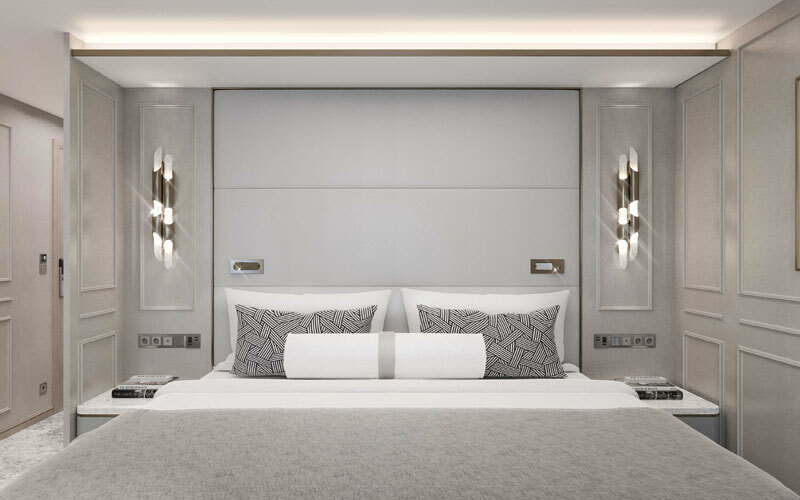 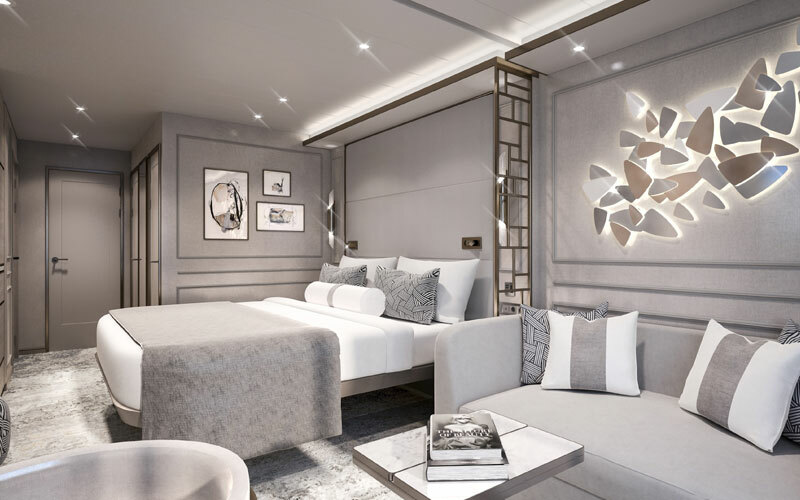 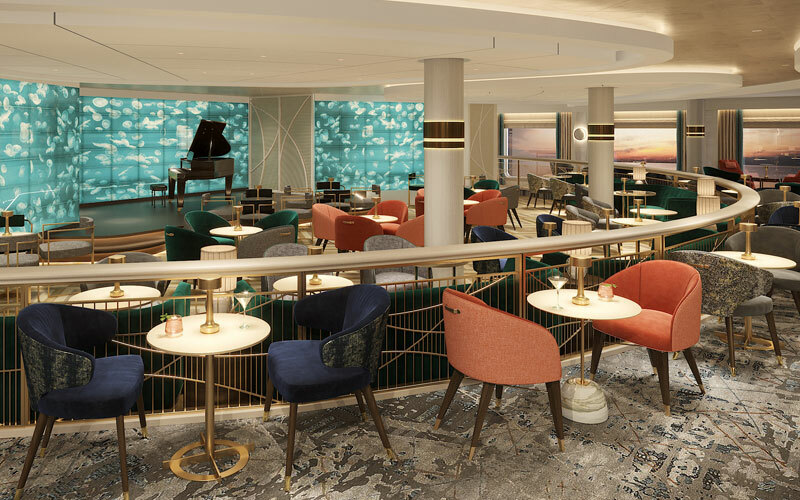 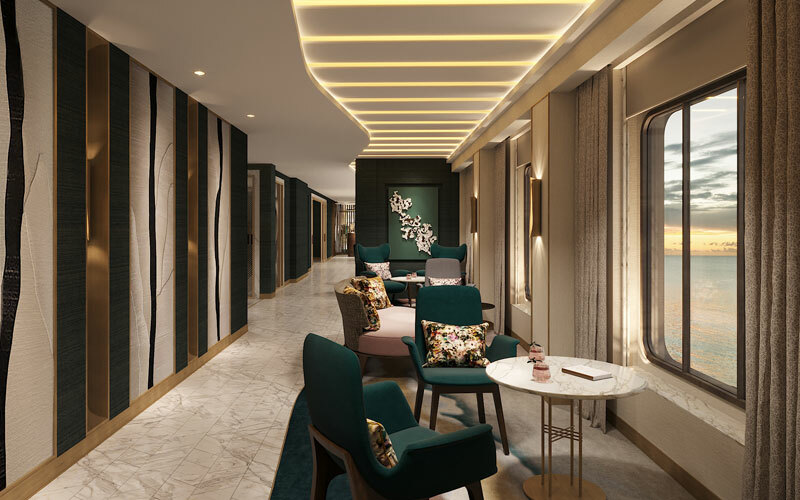 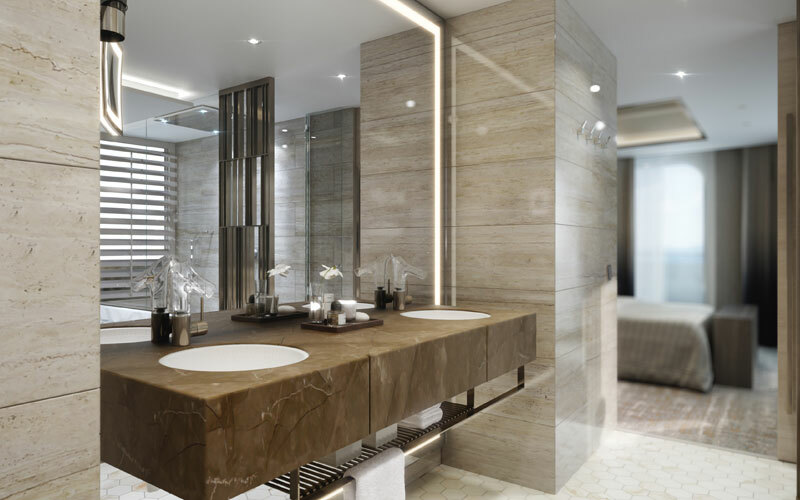 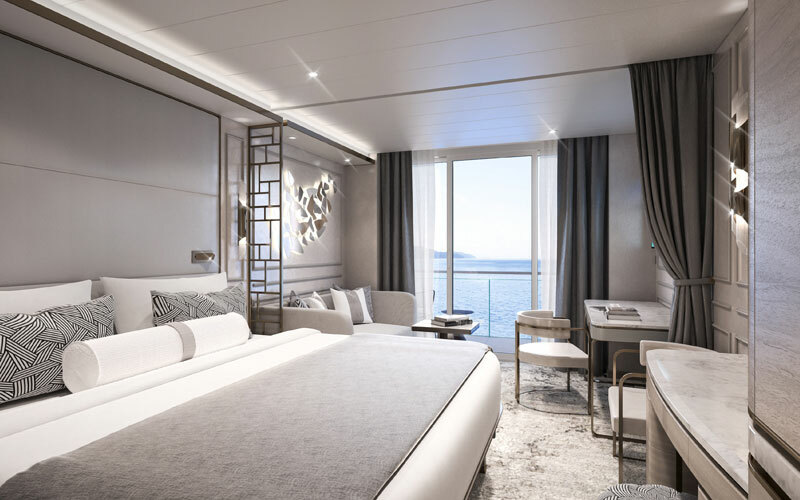 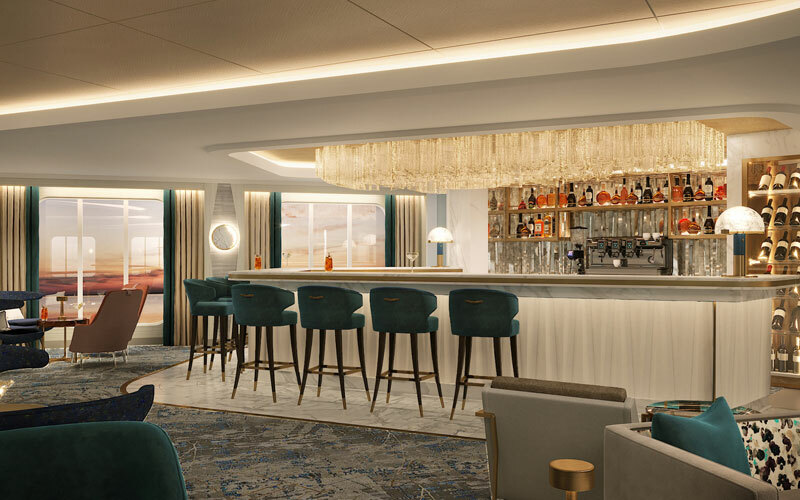 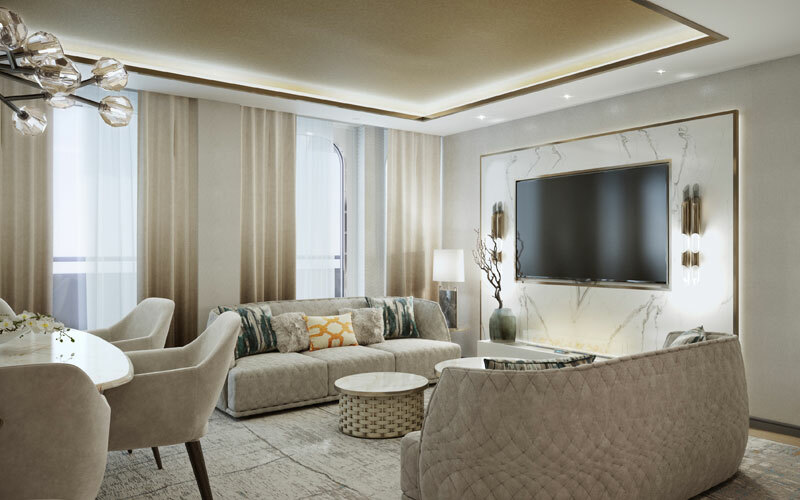 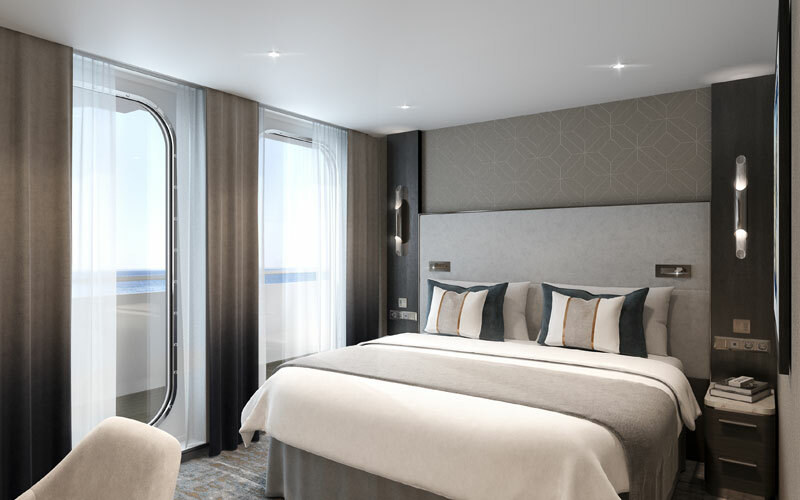 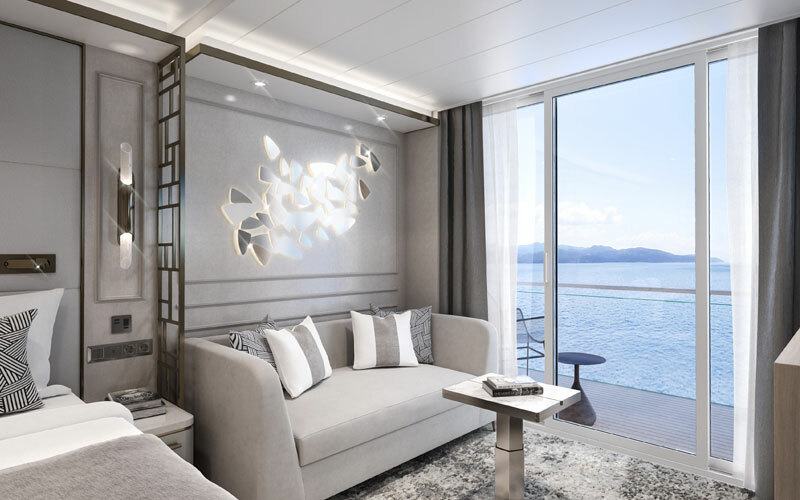 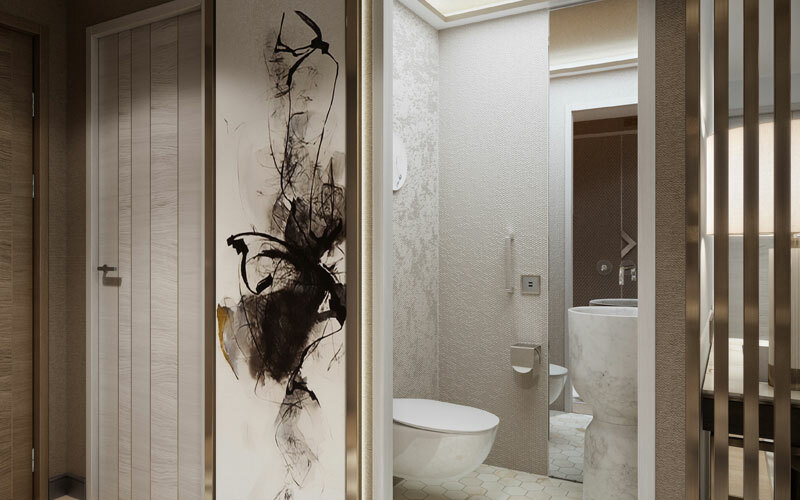 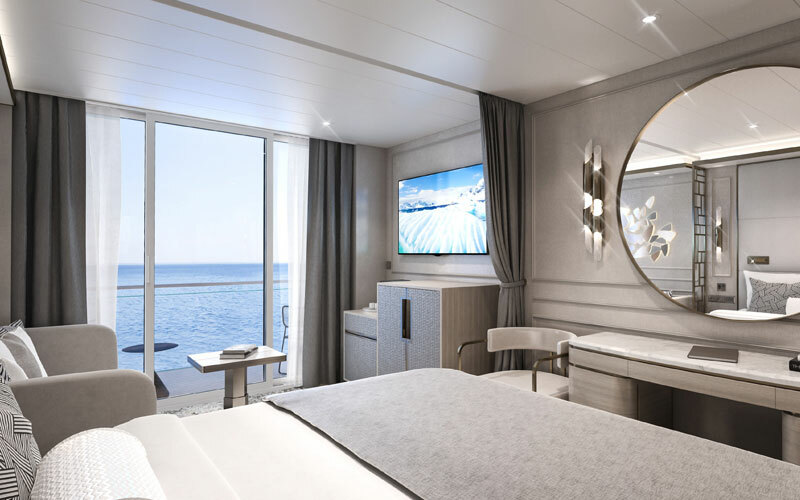 As a pioneer in ultimate luxury cruising, Crystal Cruises has once again surpassed other luxury cruise lines with Crystal Endeavor's guest suites ranging from 400 to 3,928 square feet. 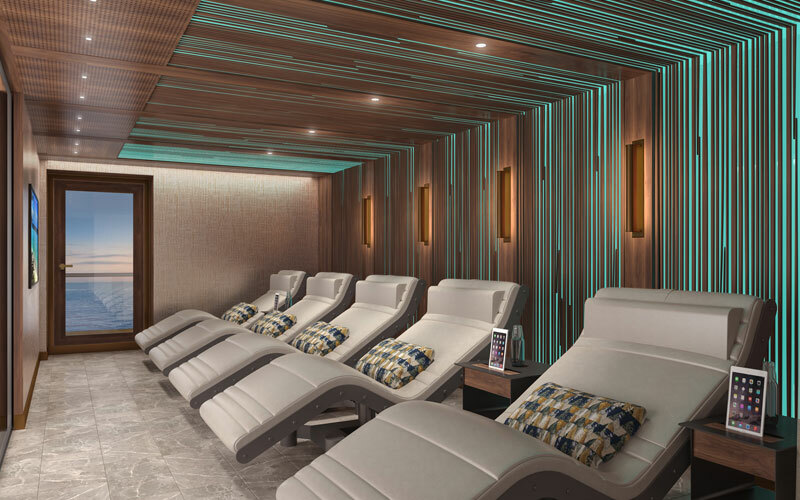 Enjoy luxurious comfort and plush amenities in your private spa and gym, steam and treatment room, garden and outdoor Jacuzzi and massive living areas while taking in the view of the ocean on your life-changing expedition cruise. 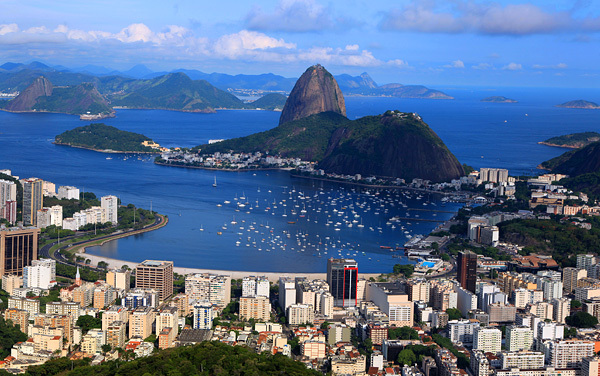 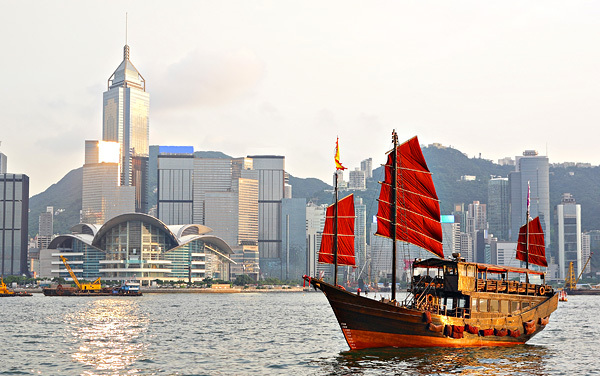 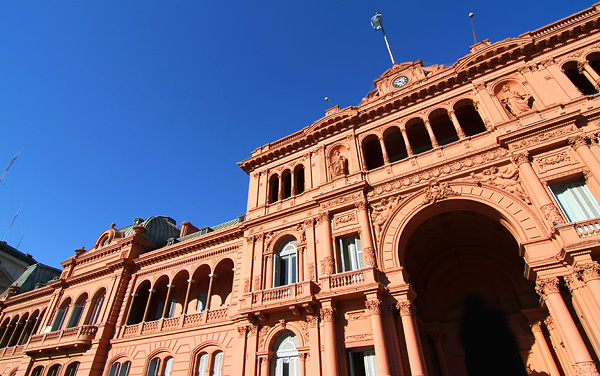 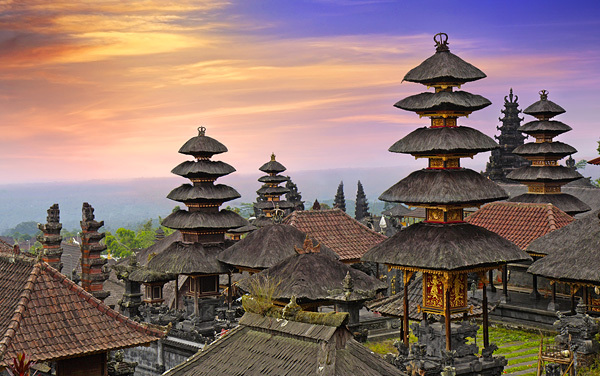 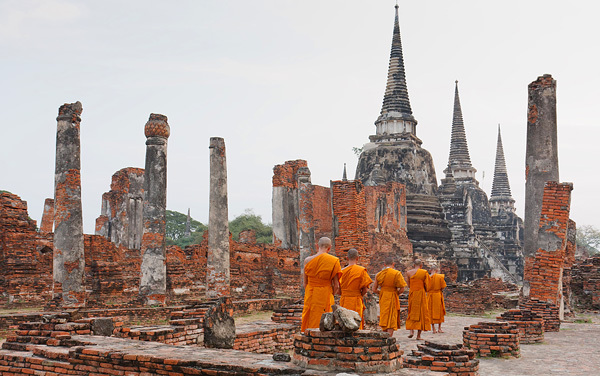 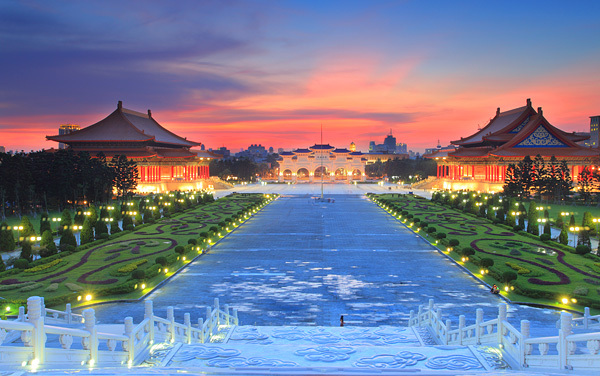 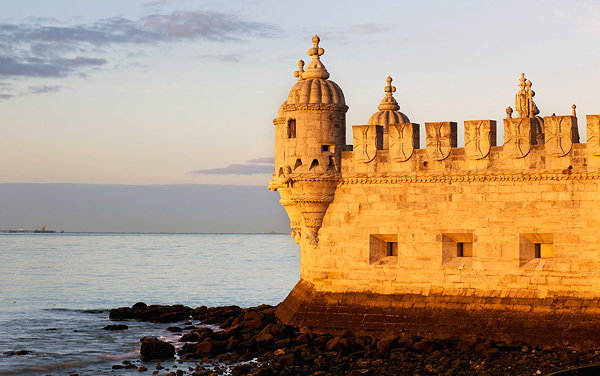 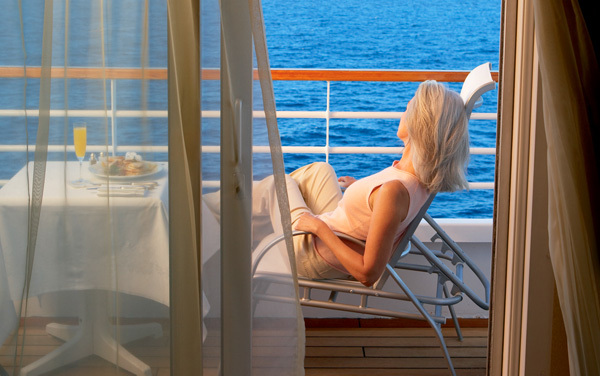 Whether it's whale-watching in the 270-degree panoramic signature Palm Court, visiting remote islands in the Atlantic and Pacific Oceans or exploring sunken galleons, warships and passenger ships, your expectations are sure to be exceeded in more ways than one. 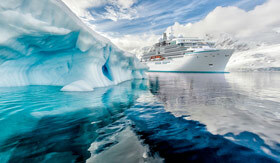 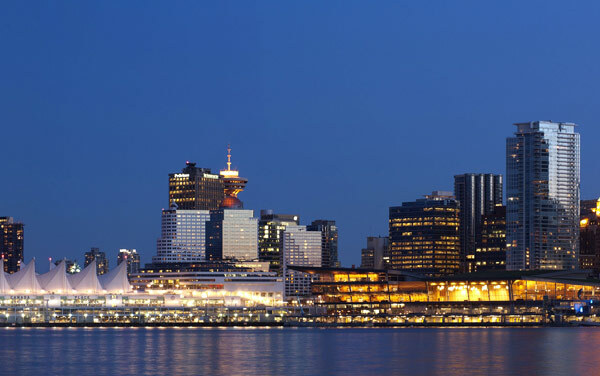 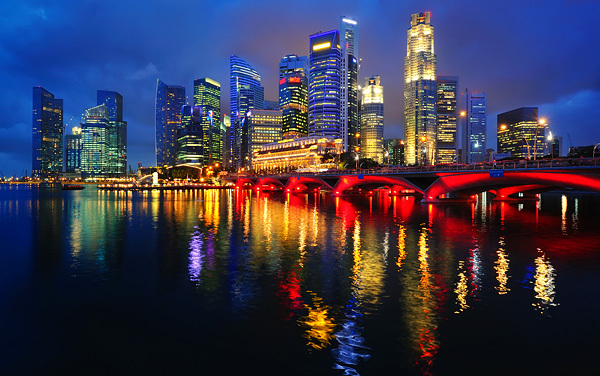 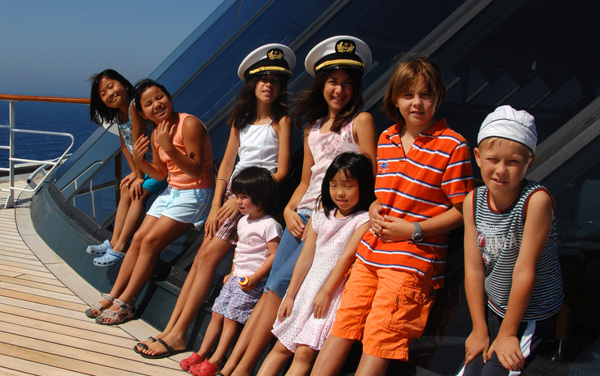 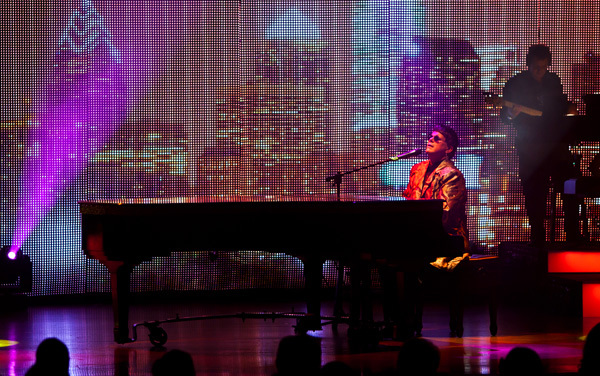 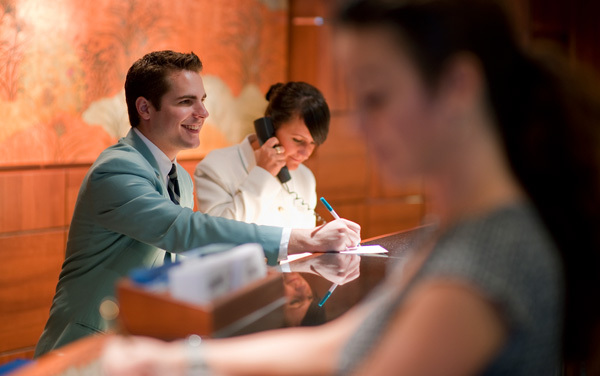 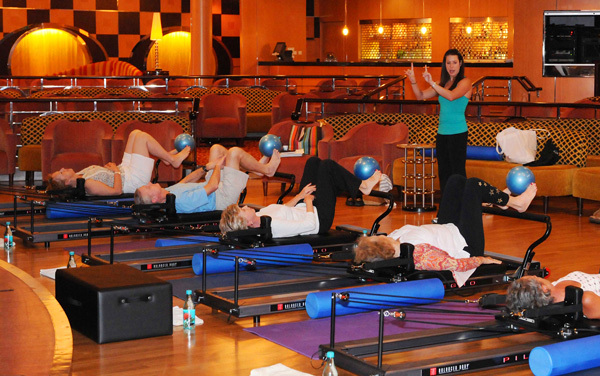 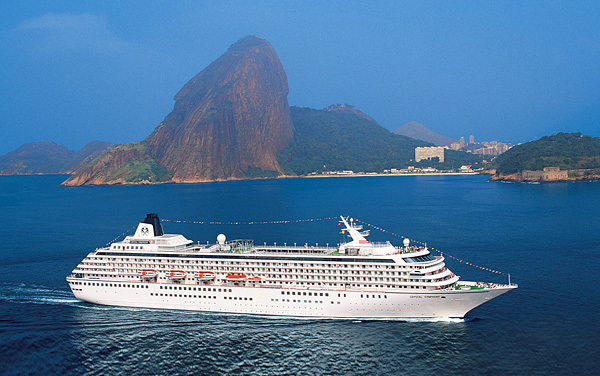 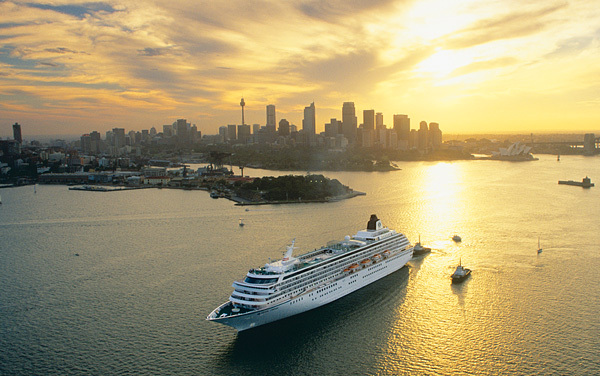 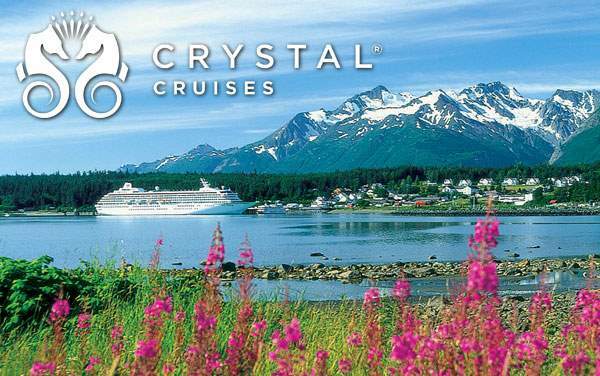 Be a part of something spectacular on Crystal's luxury cruise experience. 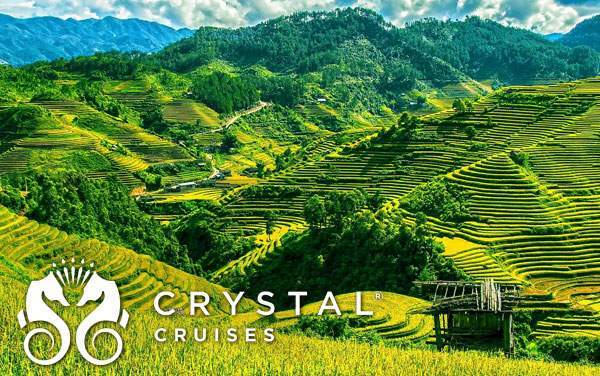 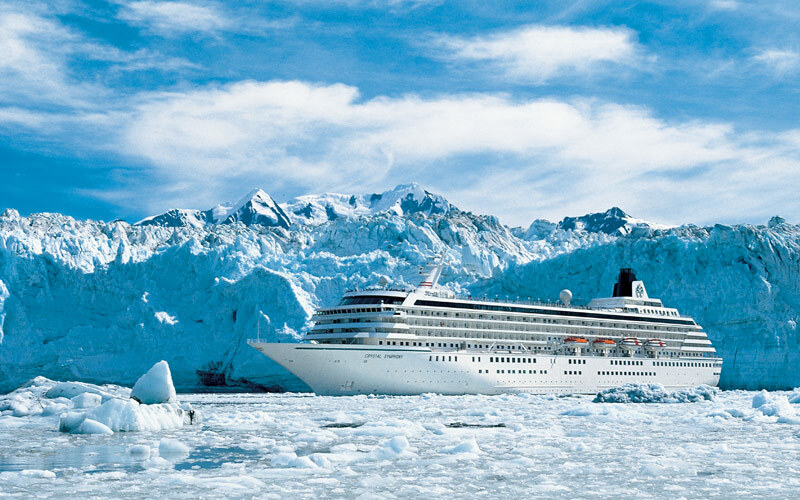 For more information on booking a luxury expedition cruise aboard Crystal Cruises' Crystal Endeavor, give The Cruise Web a call today on 1-800-377-9383. 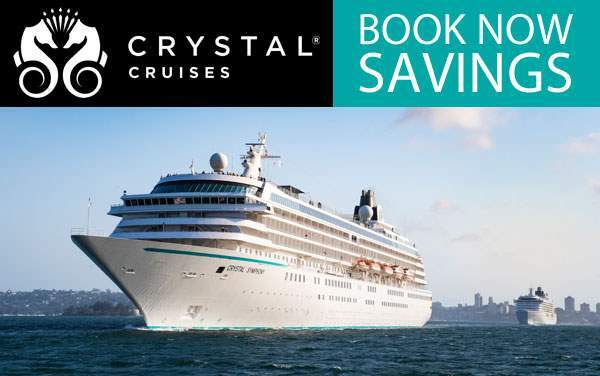 Enjoy a full range of expedition vehicles onboard, including two helicopters, two 7-person submarines, eight zodiac boats, wave runners, kayaks, SCUBA gear and more. 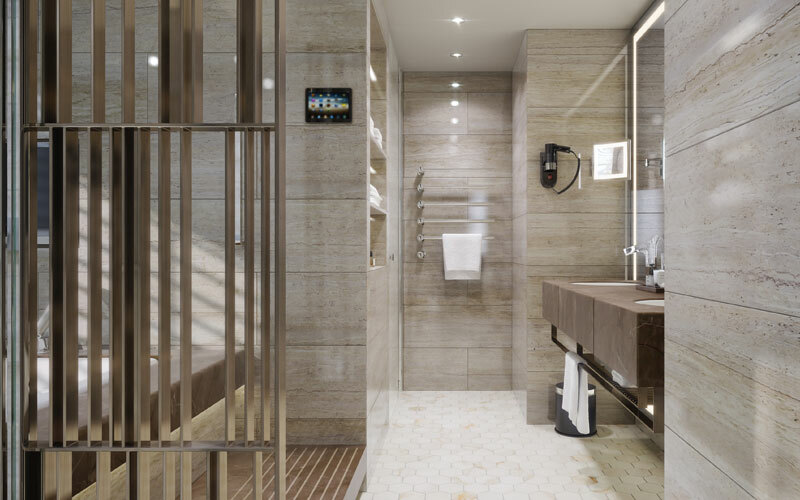 An onboard Remote Operated Vehicle can even be used to view treasures hidden deep beneath the surface of the water, including sunken warships and galleons. 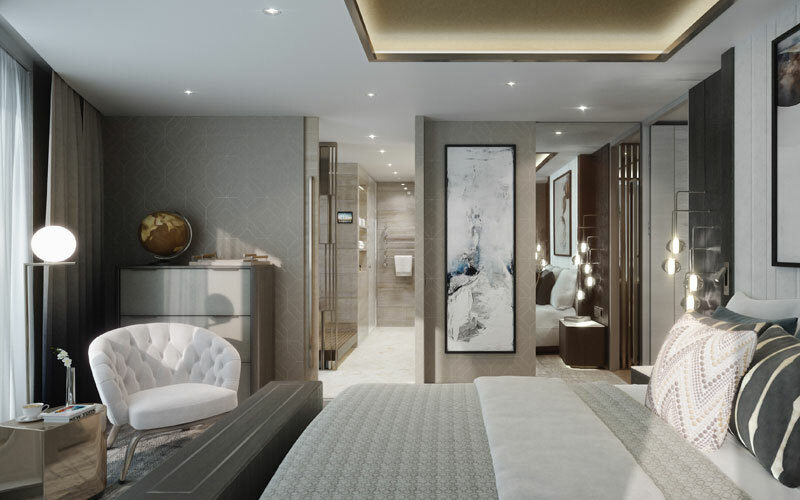 Crystal Endeavor's state-of-the-art offshore positioning technology automatically maintains the megayachts position using the onboard thrusters and propellers. 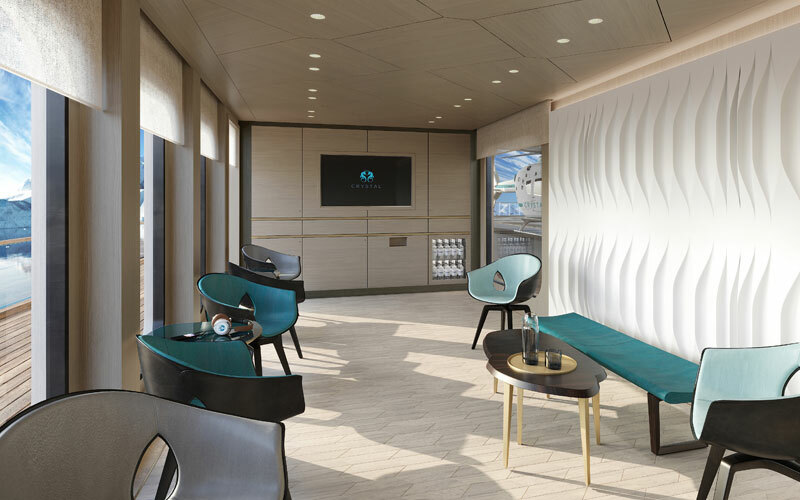 The dynamic positioning system allows the Crystal Endeavor to maintain her exact location above coral reefs, dive sites and sunken treasures without having to use anchors. 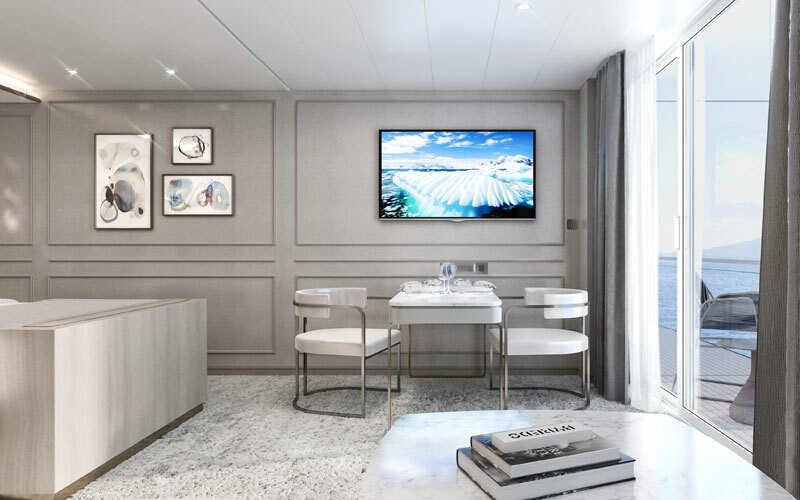 Crystal Endeavor is the first purpose-built Polar ship to earn a PC6 Polar Class designation, allowing her to break through the ice to visit polar regions inaccessible by other luxury yachts. 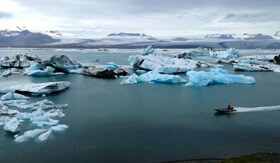 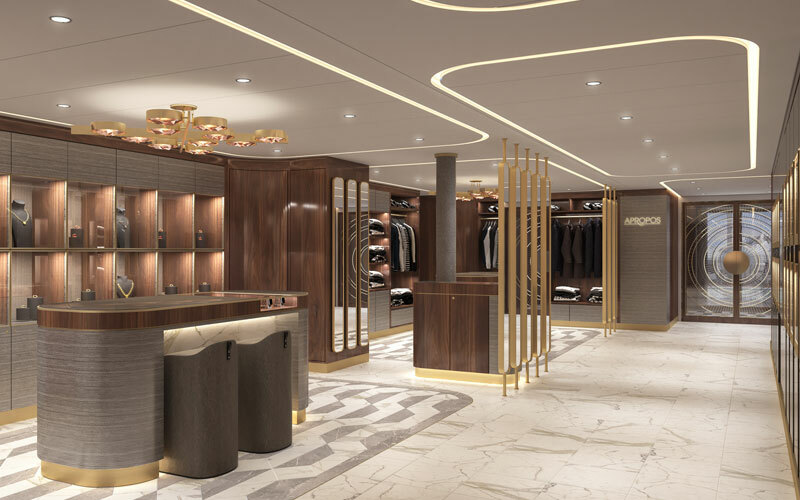 This pioneering megayacht will truly be able to take you all over the world! 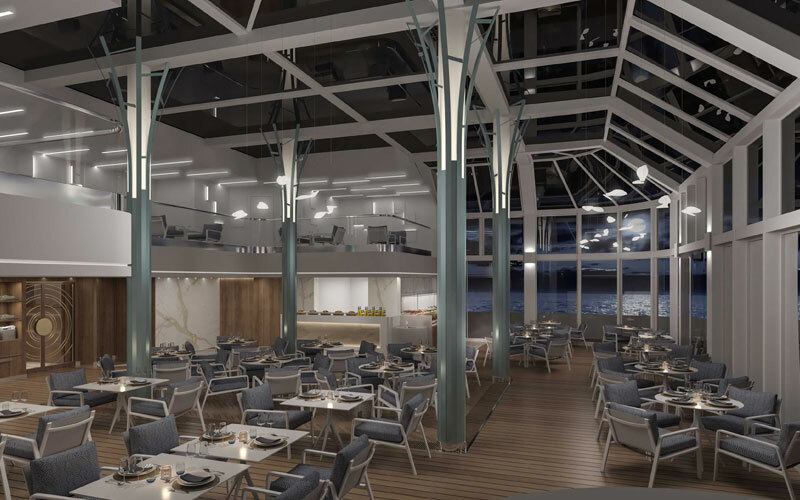 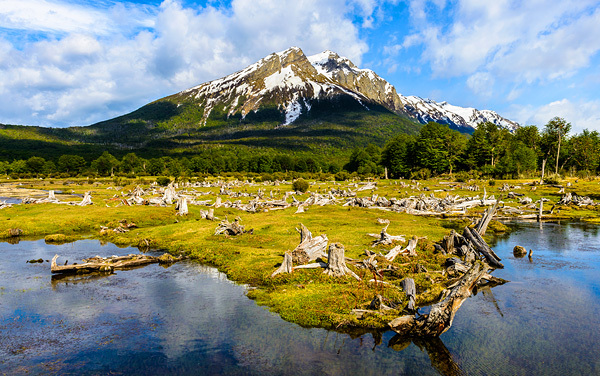 Even though you're traveling to some of the most remote regions in the world, it doesn't mean you have to sacrifice fine dining. 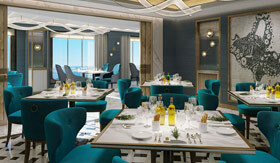 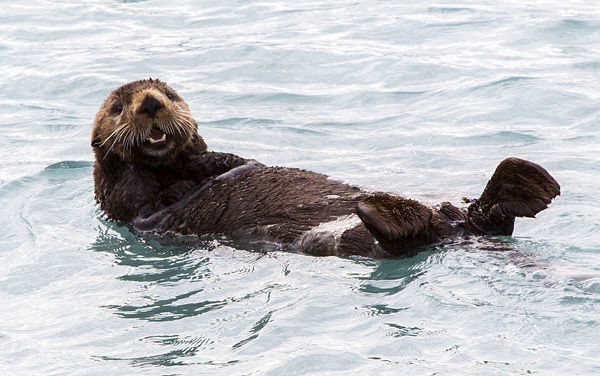 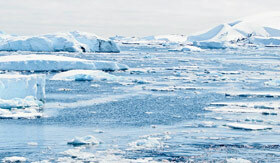 On Crystal Endeavor you'll enjoy some of the best cuisine both at sea and on land! 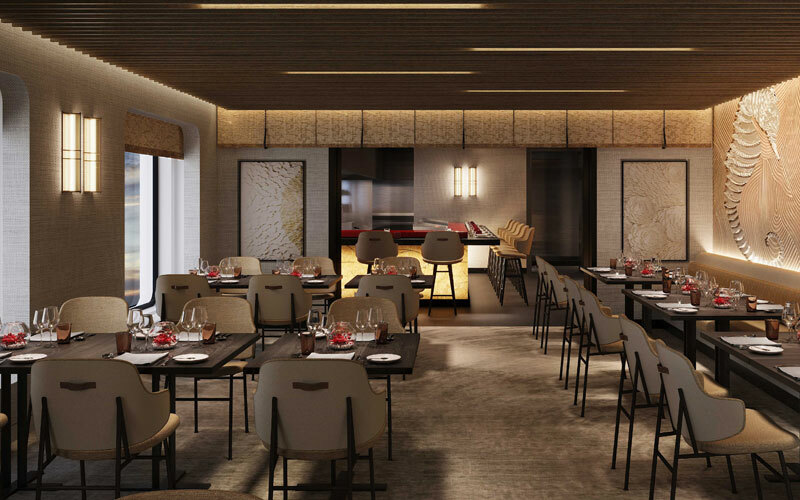 Enjoy a delicious fusion of Japanese and Peruvian cuisine at the critically-acclaimed Umi Uma and Sushi Bar. 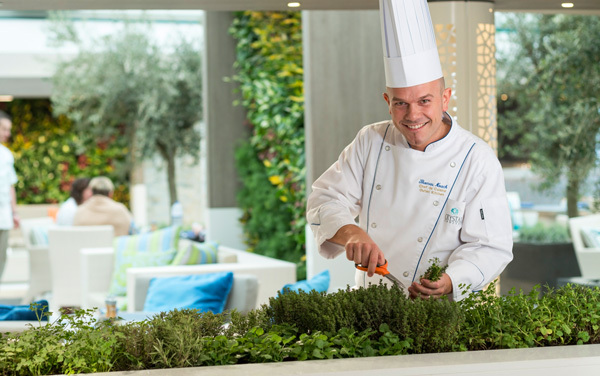 Or enjoy Italian cuisine with a Mediterranean twist at Prego. 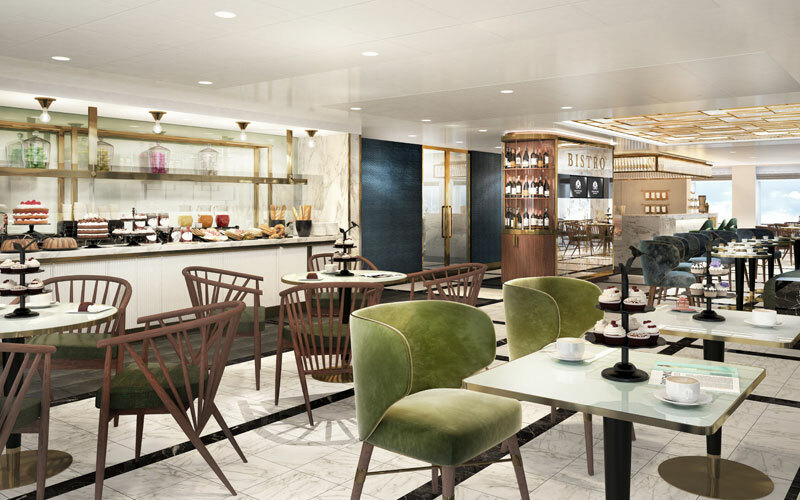 Start your day right with a delicious full-service breakfast and coffee at the European-style coffee bar and café Bistro Endeavor. 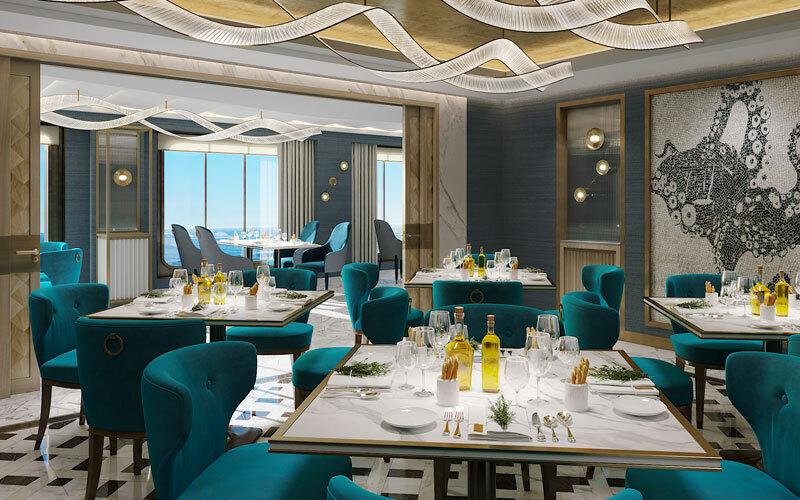 Whether you stick to one restaurant or try them all, you're guaranteed a delicious meal every time. 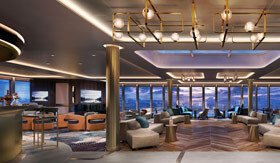 At the Palm Court, you will be able to enjoy afternoon tea, cocktails, and dancing with breathtaking views of the scenery courtesy of the floor-to-ceiling windows. 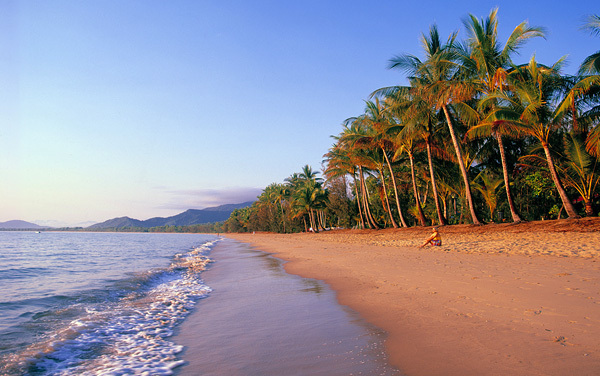 Can you imagine anything better? 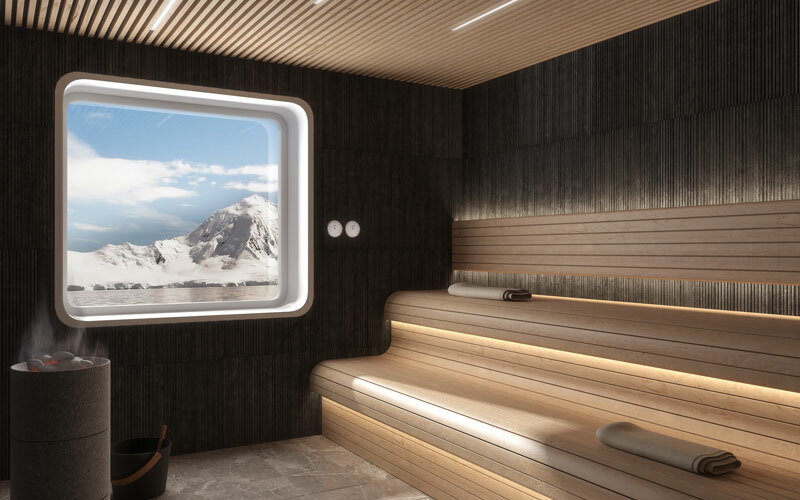 After a full day of exploring stunning destinations like the Arctic and Antarctica, you'll want some quality rest and relaxation when you return to Crystal Endeavor. 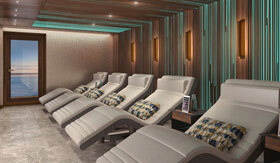 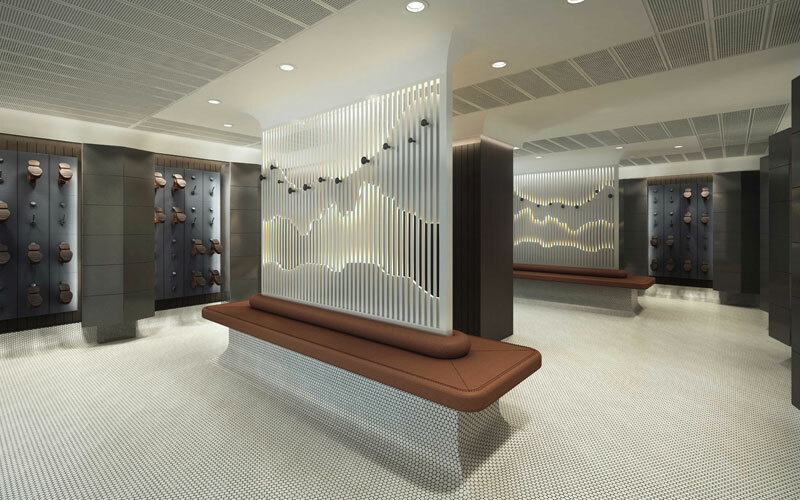 The Crystal Life Spa will be exactly what you need with massages, facials, a steam room and so much more. 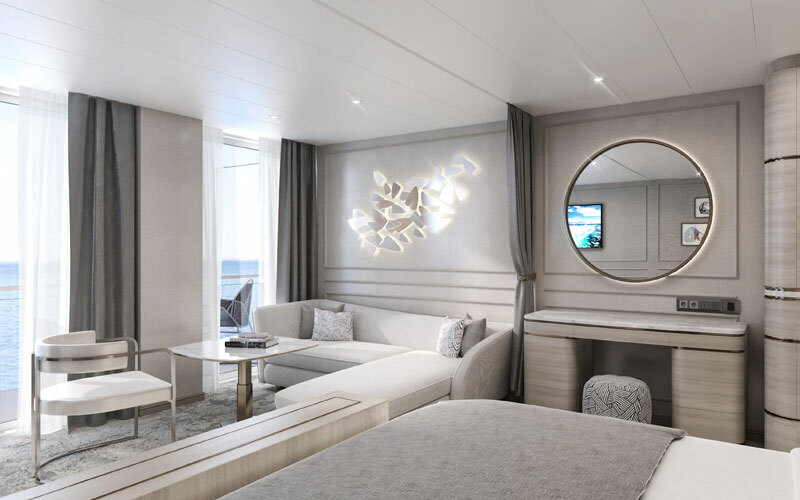 The all-suite Crystal Endeavor will give you a place of comfort and luxury to return to after a full day of exploring the rugged destinations. 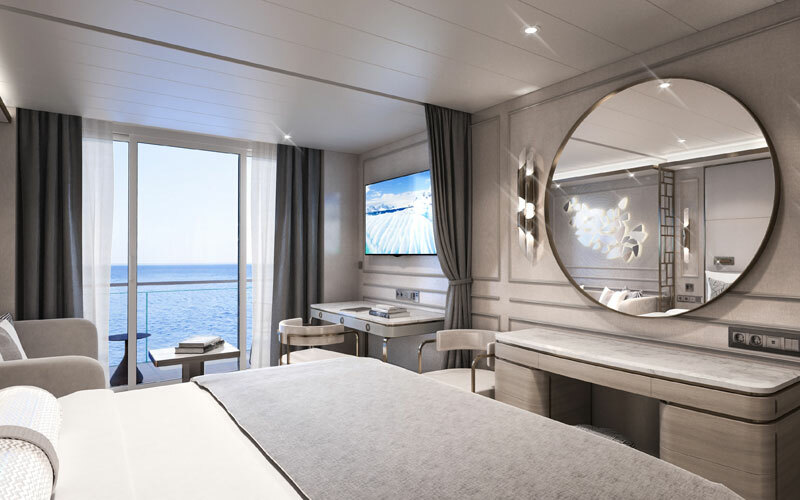 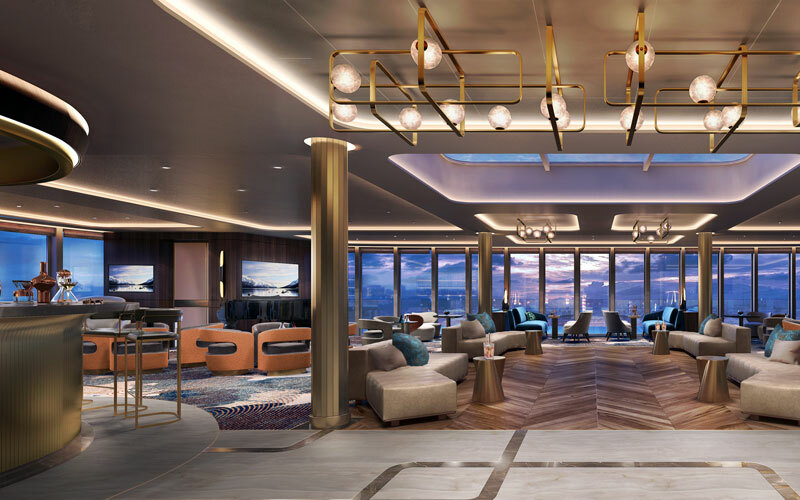 The suites onboard Crystal Endeavor are among the largest and most spacious in expedition cruising and offer plenty of high-tech amenities to make your trip everything you have ever wanted. 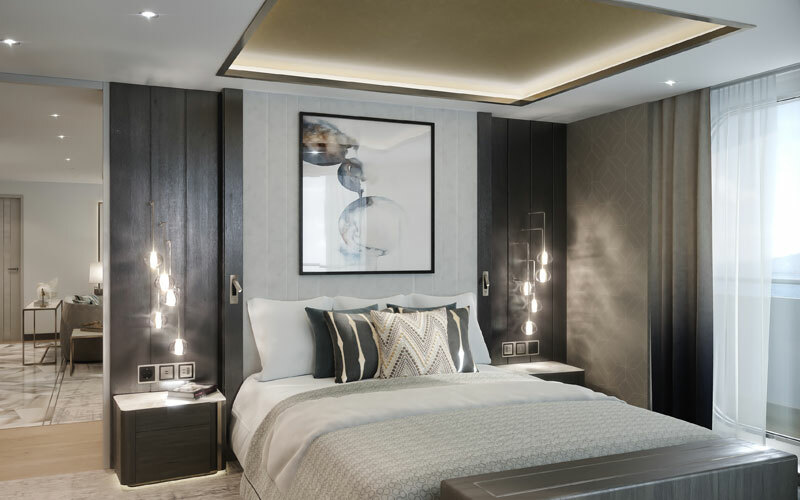 After an exciting day out and about exploring the wild destinations, you'll want a comfortable, quiet place to relax and unwind. 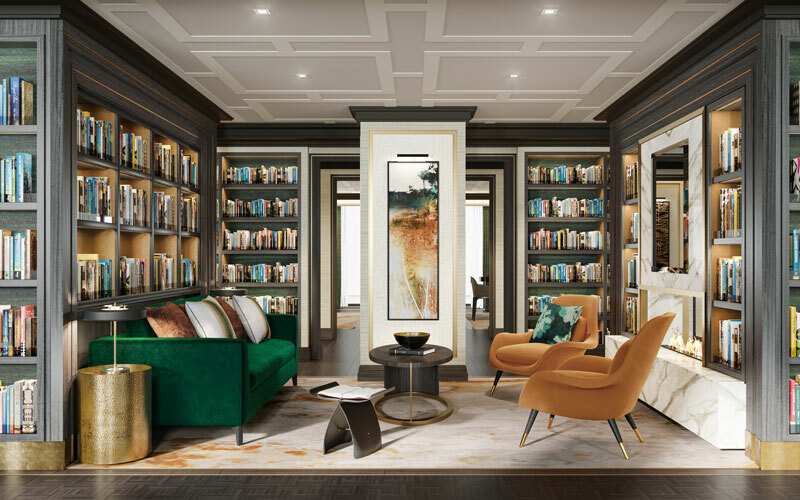 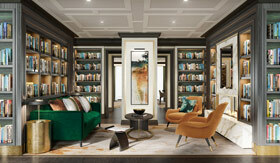 The Library will be the perfect area to relax with a good book and a cup of hot tea or coffee. 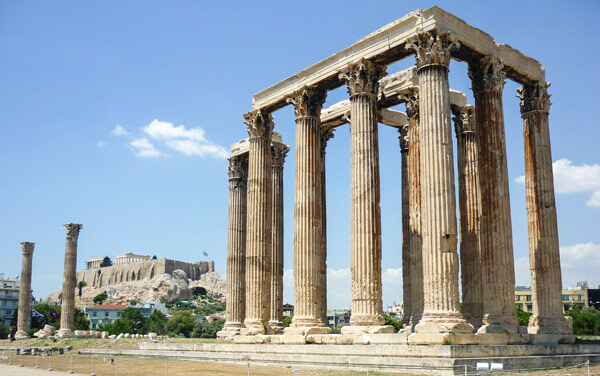 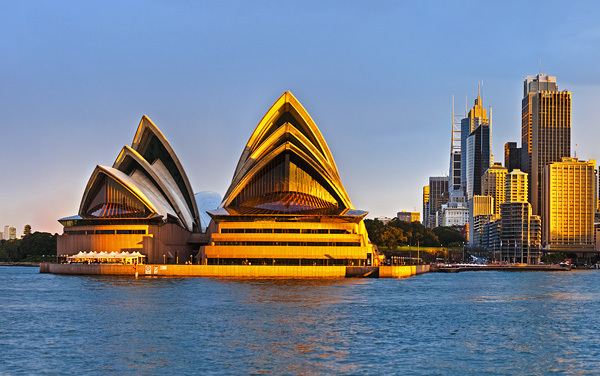 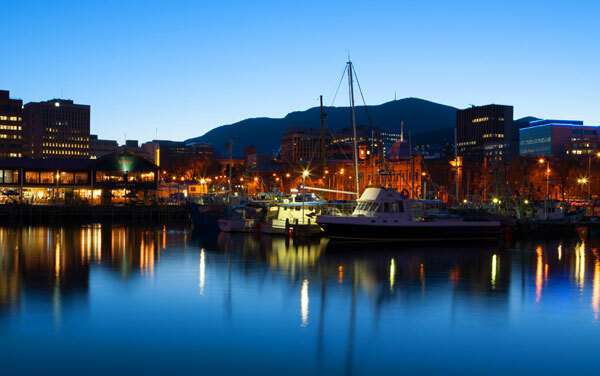 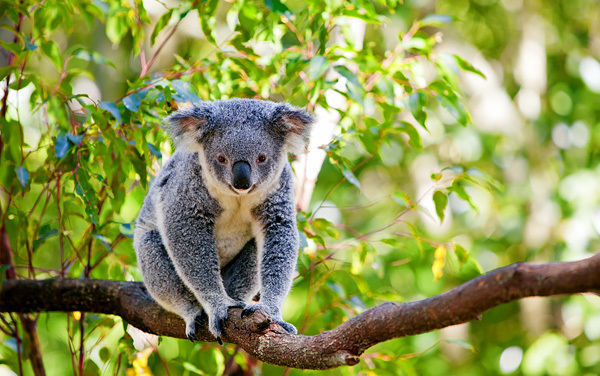 If you are looking for a relaxing, tranquil and laid-back vacation spot – Hobart is the place for you! 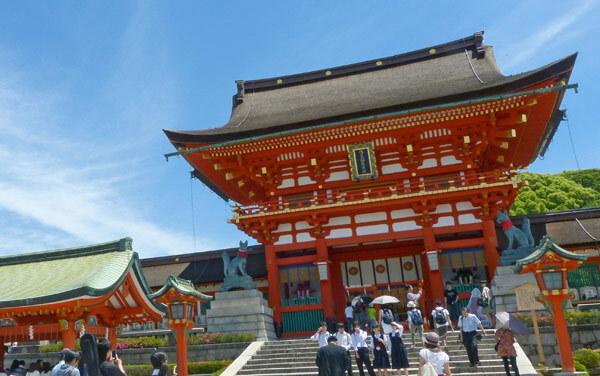 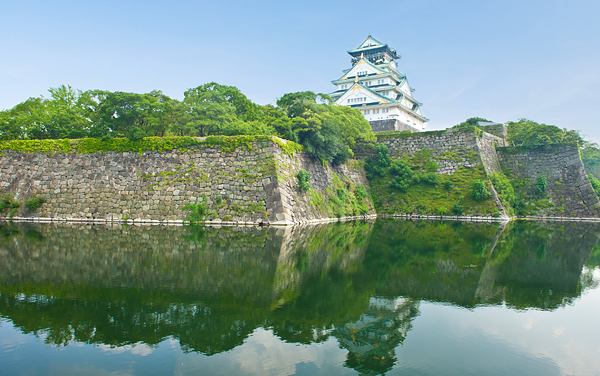 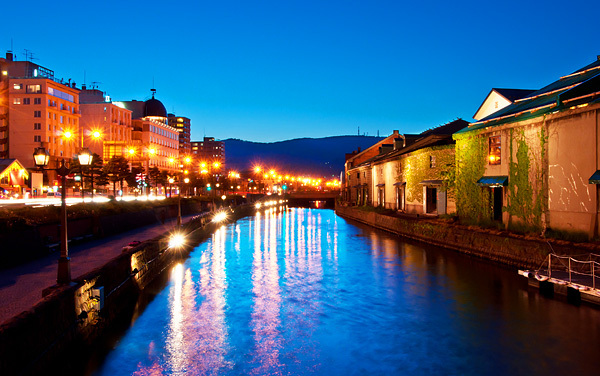 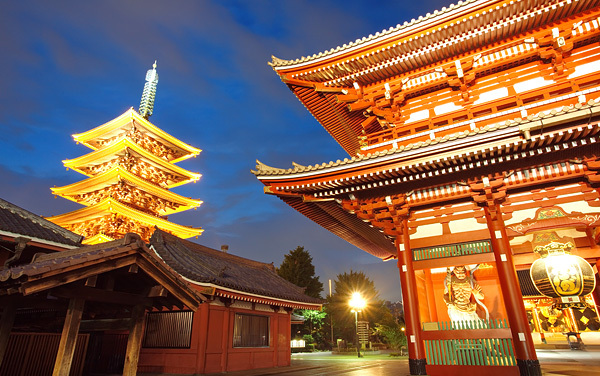 Japan’s modern culture comes to life in Osaka, where you’ll enjoy the spa, the theater and, of course, the food. 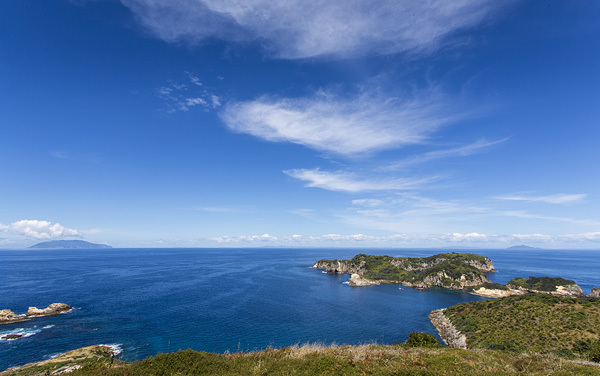 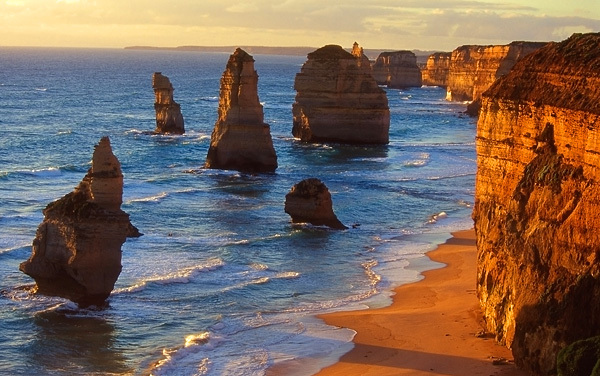 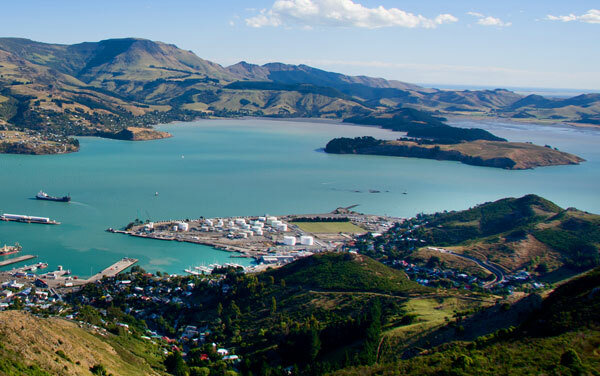 Explore the "gateway to Canterbury" and enjoy the region's beautiful coasts, delicious cuisine and fascinating history. 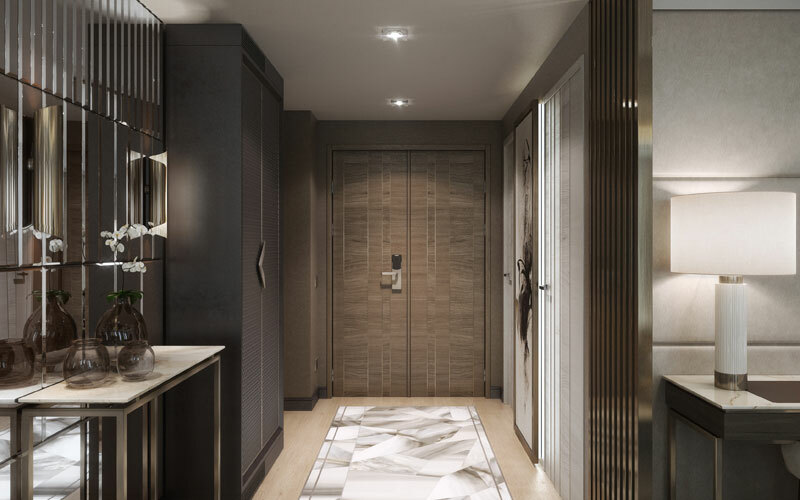 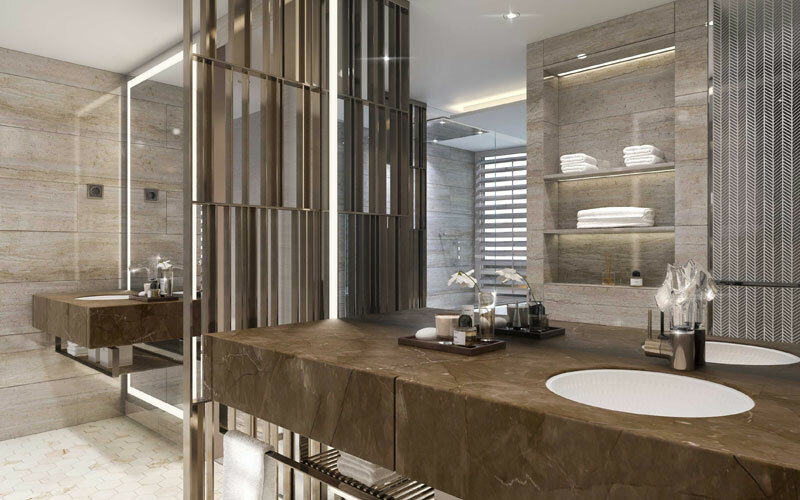 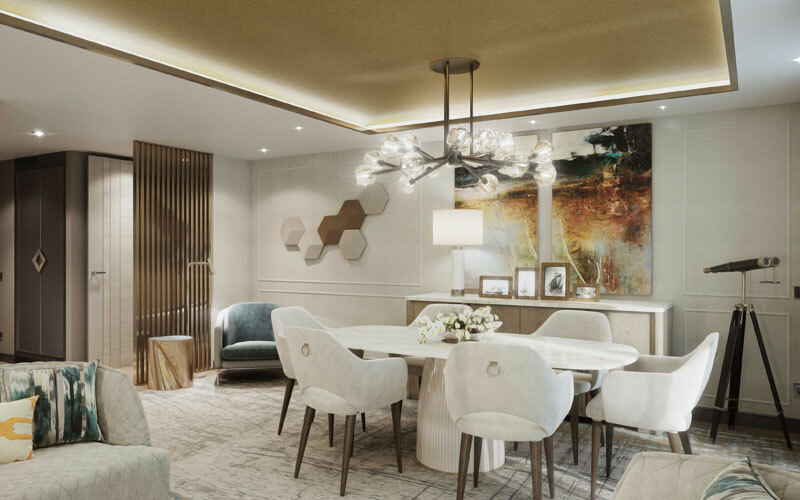 Delve into elevated standards of luxury and space. 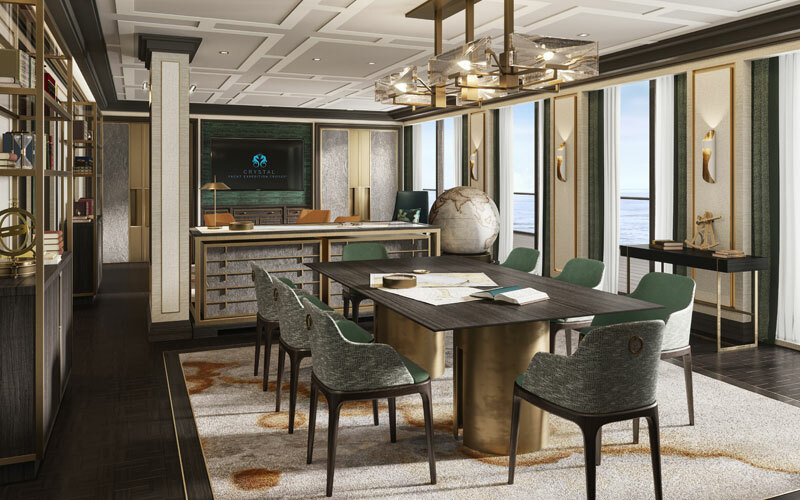 Located port side, the Expedition Penthouse is a statement of ingenuity, featuring a separate bedroom, formal living and dining areas, guest half-bath, expansive verandah, high-tech amenities, and a butler's prep station, offering guests a plush respite from a day of epic adventure. 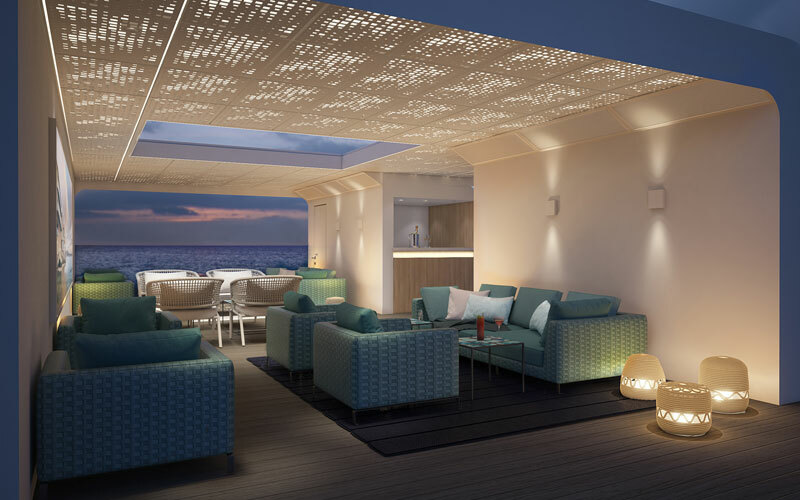 Spacious suites feature private verandahs and butler service. 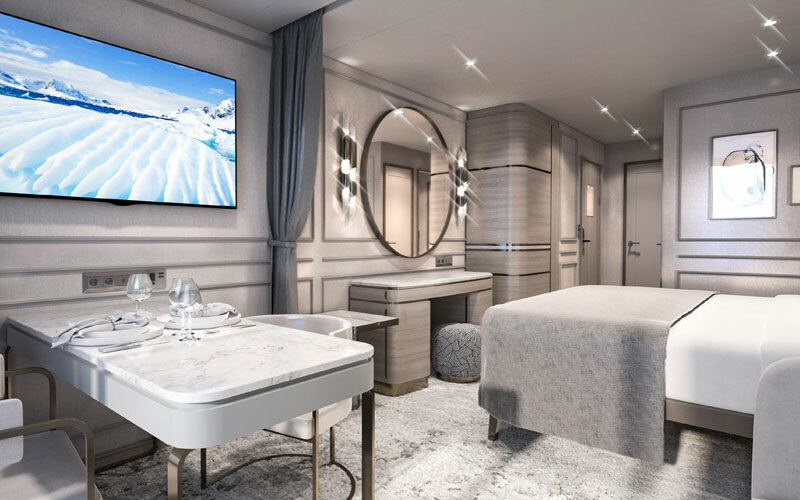 Luxury touches include king-sized beds; walk-in closets; heated storage for drying parkas; spa-like bathrooms with adjustable heated floors, dual vanities, anti-fog mirrors and rain-showerheads. 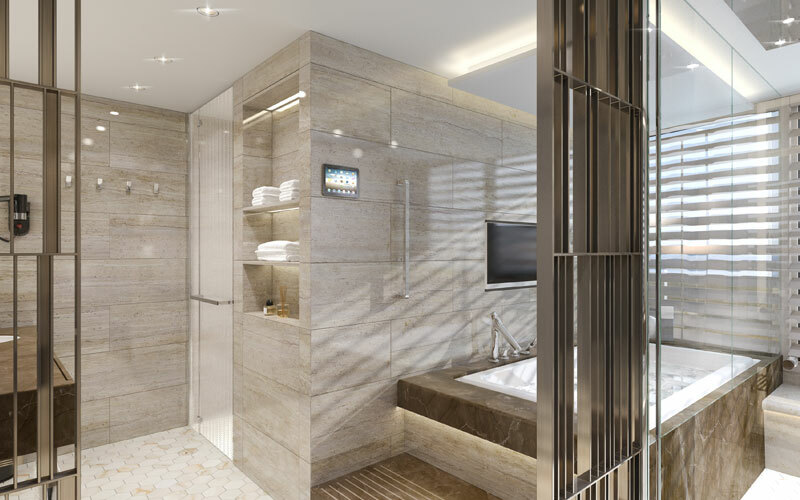 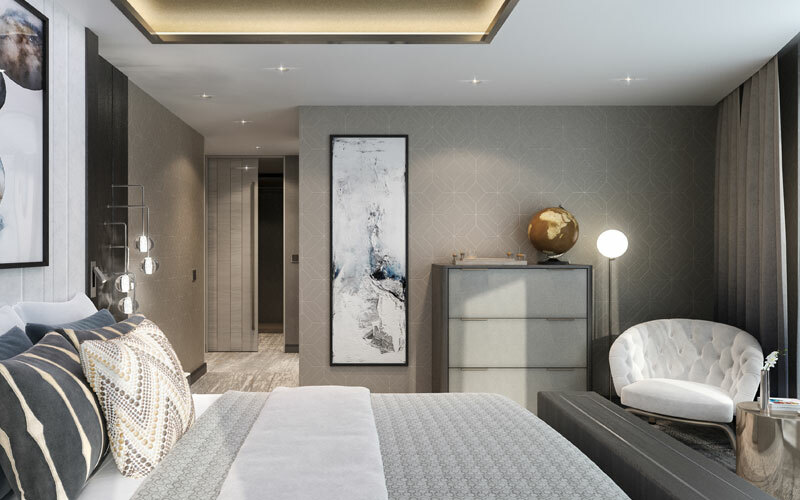 Technical details include ambient lighting, interactive streaming TVs and bedside iPads in every suite. 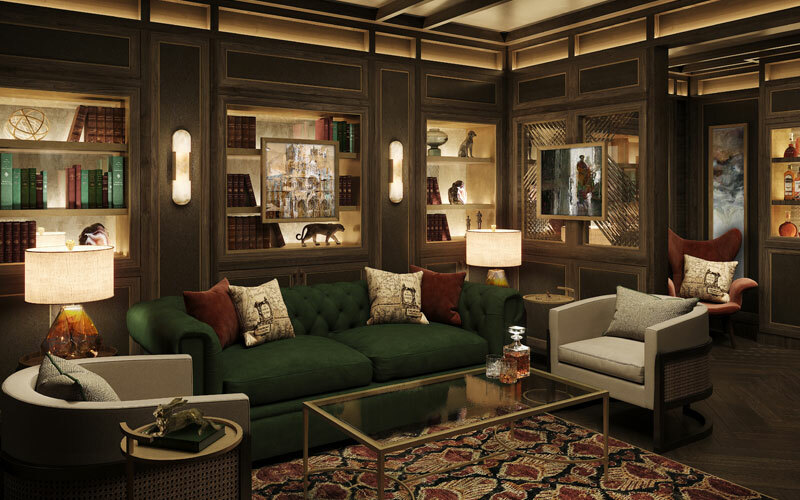 The Owner's Suite defies all expectations, inviting guests to indulge in plush comforts and pristine amenities. 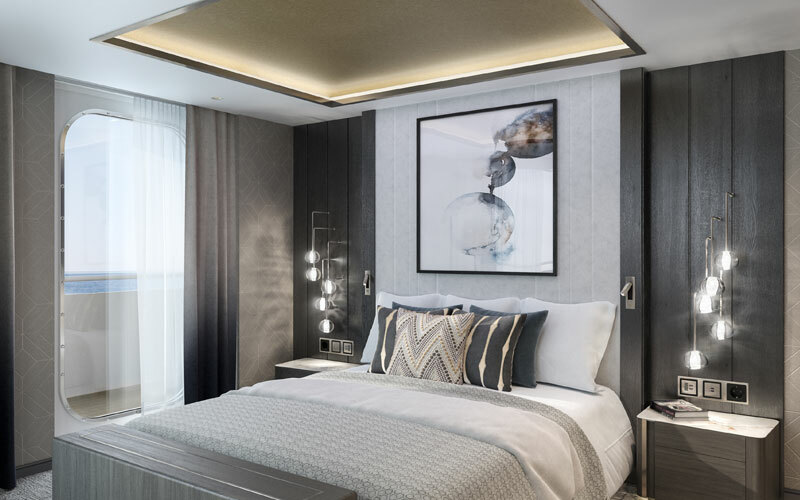 This two-bedroom suite is located starboard, featuring magnificent living and dining areas, the finest dressed king-size beds, and the most spacious of all onboard verandahs.